I get a lot of questions from people about removing their aluminum siding and potentially getting back to the original wood underneath. Is it possible? Is it feasible? What will I find? 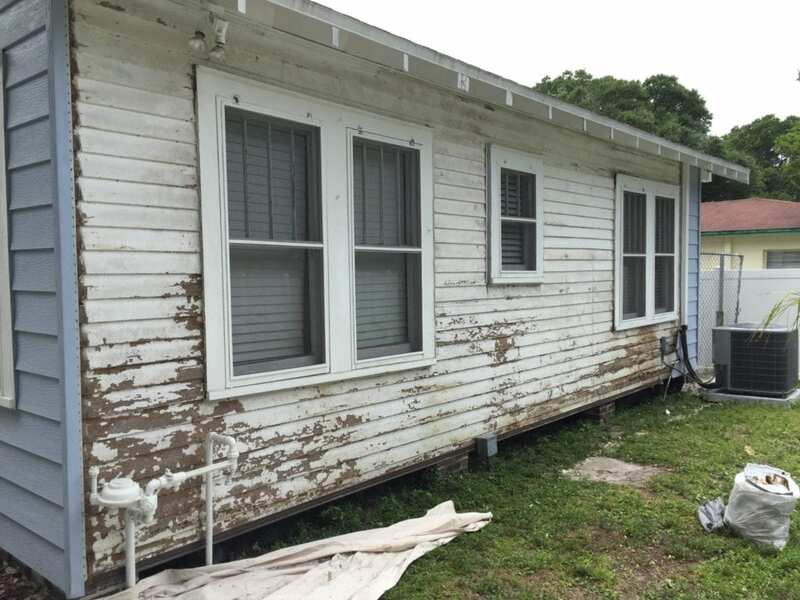 After all, siding is one of the 5 Worst Mistakes of Historic Homeowners. Let me start by saying that removing aluminum siding is not complicated. It can be tedious work, but there is nothing particularly complex about the process, which makes it a perfect DIY project. Most times, aluminum siding was installed right over the old wood with very few modifications. It was cheaper to do that way because removing the wood siding was usually cost prohibitive. That’s good news because if your old house originally had wood siding, then it is probably still hiding underneath all that tin foil. 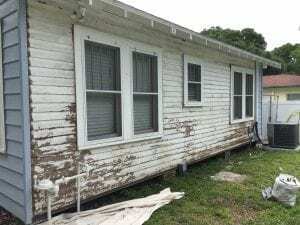 The one caveat to removing aluminum siding, and vinyl siding for the matter, is that you don’t know what the condition of the wood underneath is. 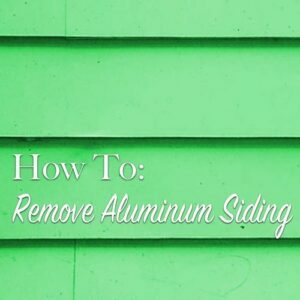 If you are willing to roll the dice a little and have enough money in the budget to cover some repairs to the original siding, then removing your aluminum siding is definitely a worthwhile option. 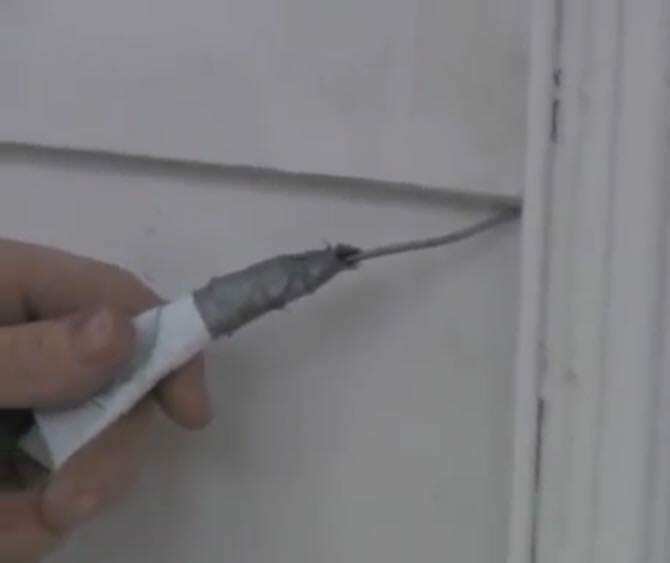 But before you start, you need to embrace the idea that you WILL have repairs needed to your home’s envelope when you remove aluminum siding. 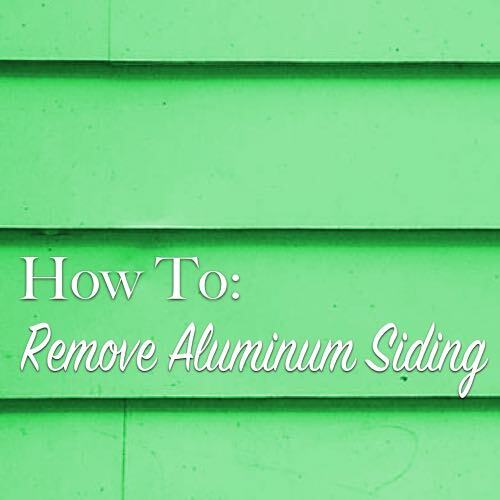 There are two schools of thought on removing aluminum siding. If you just want to get this stuff off and send it to the scrap yard, then the work is much easier. You can damage and tear the stuff apart pretty easily and have your house unwrapped in no time. If you want to remove a section of the siding and then reinstall it, that requires much more finesse. We’ll talk about both below. Before you break out your pry bar, peel back a corner of the siding in a couple places and see what is going on under there. Knowing what’s underneath first will help you plan your work going forward. Is it clapboard, shingles, asbestos siding? You need to know what you are getting into. Aluminum siding is very sharp and can easily cut you, so before you do anything, put on a pair of work gloves. Aluminum siding and vinyl siding are attached much the same way. 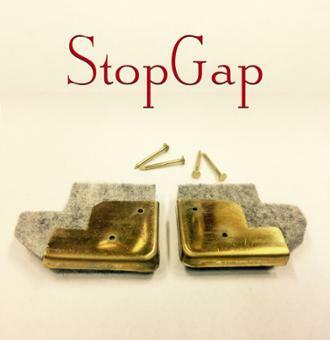 They are nailed across the top of each piece and the bottom of the lap hooks into the top of the following piece. Using a metal clothes hanger or other small hooks, dig into the end of one of the pieces of siding, which will allow you to pull it off. Pull the bottom down and away and then you should be able to simply unzip that piece horizontally across the wall all the way down to the end. That will give you access to the nails holding the piece below the one you just unzipped so you can pry them out with a pry bar to free the piece from the wall. 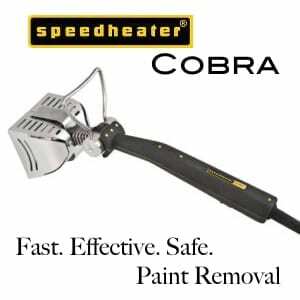 If you are getting rid of your aluminum siding then just grab that pry bar and starting at a corner, tear into this stuff. You can really just rip it off pretty easily. There may be some nails that need a pry bar’s help to come loose, but with some muscle, it will come free. On outside and inside corners, you may have little channels that the aluminum slots into. These can be pried off by finding the nails that hold them in place too. Also, depending on your siding salesman, your exterior trim and fascia may have been wrapped in aluminum, which creates just one more thing to remove. This cannot be removed without damaging the aluminum, which is fine if you plan to trash it, but can be a problem if you are planning to keep your aluminum. Generally, the aluminum that wraps over your old wood trim is held in place with small aluminum nails. They are a bit of a pain to pry out, but if you can get a corner started, it is usually easy to peel the aluminum back and let the nails come with it, rather than trying to pry each nail out. The open eaves in old houses are another thing that often get covered up and turned into what appear to be vented aluminum soffits. These soffits are very easy to remove. Each panel is attached with a couple small nails to the sides of the J-channel. I honestly just get the first one off, and using the claw side of my hammer, just yank the rest of it down before undoing the nails holding the J-channel in place. 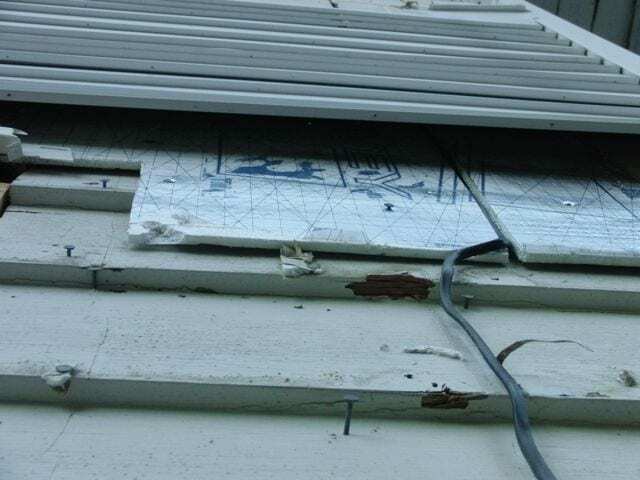 Often, you’ll find 1/2″ styrofoam or other rigid insulation underneath the aluminum siding which was nailed into the siding with fat headed roofing nails. Removing this stuff is simple since it is so fragile and can be torn away from the building simply. Removing the myriad of nails throughout the old siding is the time consuming process. Removing the nails and patching all the holes is what takes me the most time in the whole process, probably. Once you’ve got everything off, you can finally see what your house was supposed to look like. 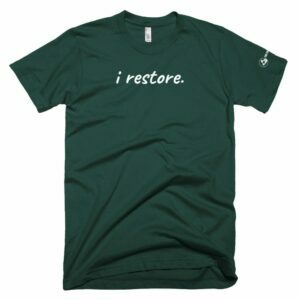 In my experience, there are a few things that often require restoration after we unwrap an old house. Painting – I have never unwrapped a house that wasn’t in dire need of a good paint job. Often, that was the reason the previous owner installed the aluminum in the first place, to avoid paying for a new paint job! Prepare for this in your budget. Head Casings – Drip caps and any kind of decorative casing at the top of windows and doors was often destroyed to create a flat plane for the new aluminum siding. These elements keep water from getting into your windows and should be repaired as soon as possible. Corner Trim – If the corner trim got in the way, a lot of siding contractors simply removed it before installing the aluminum. Use the old paint shadow lines as a guide for what size trim boards you need to button these corners up again. 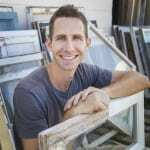 Window Sills – Just like the head casing and corner boards, anything that sticks out was either removed or chopped back rather roughly. 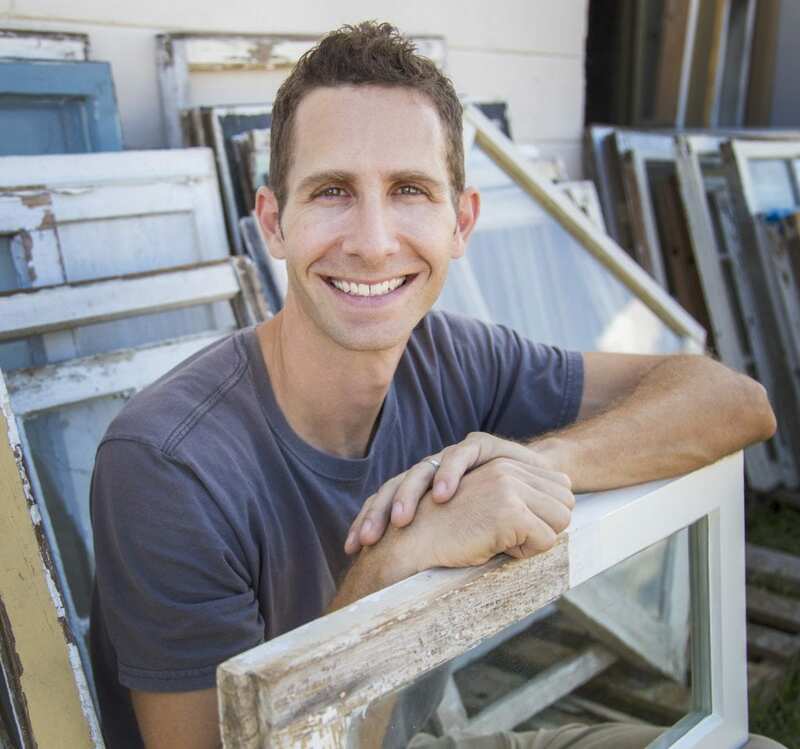 Check to see if you have missing or damaged window sills. Additions – Aluminum siding was sometimes installed when there was an addition made to the house. That addition never had the original wood siding so you may be tasked with siding a whole section of the house. If you can be prepared for some of these possibilities then you’ll be well ahead of the game. Removing aluminum siding can really do wonders to your home’s curb appeal if you have the budget to restore the siding underneath. We’ve unwrapped a lot of houses and it never stops being fun for me to see what we find underneath. The depth and beauty of these old houses can really shine again once you get that awful fake stuff off its face. And one last tip: don’t forget to haul all this aluminum to the recycling center for a nice payday at the end. Getting a check for a couple hundred bucks at the end of a hard day’s work makes it much more rewarding! i just bought a house (an old victorian which is a stone house) that has the back shed behind the kitchen( ther is a small powder room -and i mean small..no sink, and space used i believe as a mudroom) which is covered on the with exterior with siding. The previous owners have covered the small restroom window with siding. Could I remove the siding just from the window and frame it out ( still using siding?). Is this something a company would do? i would like to use the window and not have it covered? Thanks so much for sharing about your beautiful home and for commenting on our post! The wind blew the aluminum siding off my ‘afterthought’ chimney. A friend told me to put backerboard instead of plywood because the plywood is completely rotted and crumbly. Good idea? It has a green batting underneath for what I assume is insulation. What should I put down under the siding? Hi, I was wondering if removing my vinyl sidings is a good idea and replacing it with bricks for a 1900ft house is possible and how much expensive would it be …any thoughts please ? Once aluminum siding is removed, how long do you need to wait before painting the newly exposed wood? I’ve heard it needs to “dry out” before painting or else the paint will start peeling/chipping within a year (as experienced by a neighbor.) Thanks. It depends. Get a moisture meter and check the wood. It shouldn’t take any more than a week. The moisture content of wood should be below 14-15% before painting. the other day an adjuster company knocked on my door and said I could get my insurance company pay for new vinyl siding since my aluminum siding is hail damaged. I got excited because new dark color siding would be nice but after reading this site I am wondering what’s underneath the aluminum siding of my 100 year old cottage (a total gut job, i’m still making improvements), it’s not historical in that sense of the word but now i’m wondering if I should have my carpenter just see what’s underneath? I love old. I really appreciate all of your feedback to the great questions above. I am in the early stages of research into removing aluminum siding to my home but instead of wood, I have stucco underneath. Is there anything to keep in mind with possible damage to stucco or could the damage typically be easier to repair than wood? Any thoughts on stucco under aluminum siding is greatly appreciated! Generally it’s easier to repair than wood. Just little patches of stucco from the nails to repair and repaint. I have a house with a small room addition with aluminium siding. The rest of the house is stucco. I am a senior citizen with a limited budget and would like to convert the room into a bedroom I can rent. One wall of the room is aluminum windows which I would like to have removed and replaced with one double-pane window. A neighbor suggested to use Redwood siding panels over the existing aluminium as there is no wood to paste and nail the panels to. Is it alright to place those panels over the aluminium or should the aluminium be removed completely? We have old c. 1960 aluminum (or steel?) siding on our American Foursquare. It is over a 3/4″ plywood apparently with something else under that…maybe masonite, based on some earlier comments. The window trim was chopped off and the siding brought right to the edge of the windows. We also have similarly old, non-working (or mostly non-working) aluminum storm windows on every one of our historic windows. Luckily, the wood windows work and are in pretty good condition. Unfortunately, the storms prevent us from using the windows as we’d like to…also, the exterior looks hideous. So, I thought, we’ll just replace the storm windows and be okay with that for a while. But today, the contractor who came to measure for storms said, no, they don’t want the job. They said the storms can’t be removed without damaging the siding and there’s no window trim to adhere new storms. I had to sit down, because what I think they mean is that we can’t do anything with the windows before we replace the siding. A big and costly job. Does that sound right to you? I was surprised and unpleasantly so. Hard to say without being on site. But it is possible. I’d get another storm window company to give you their opinion first though. Thank you so much for doing this blog — it’s been a huge help as we’ve been home shopping in historic districts in Memphis. We’ve just put an offer on a 1920s home with an aluminum siding facade; home and termite inspections are next week. Would you recommend having the inspectors peel back some of this siding to check out the wood underneath? We’re first time buyers and are not too familiar with owning an old home, but absolutely love them and are pretty handy. Lauren, don’t think termites will be as much an issue with the siding as they will be under the house and in the attic where the wood is exposed, but you’ll want to see what is under the aluminum if anything. Thank you! This was super helpful, as we’ve just put an offer on a historic house with a newer aluminum facade. 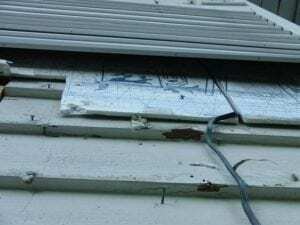 Just to make sure, do you advise getting a look at what’s underneath the siding during the inspection period, before going through with the purchase? I have a material resembling fiber board under my aluminum siding, is it asbestos? About 1/4 inch thick brown and breaks easily. Is it installed in shingle fashion or is it large sheets. If it’s sheets it is probably Masonite but shingle could possibly be asbestos. Thanks for the reply. It is sheets that appear to be backing of the siding, some type of fiber board that breaks easily but makes the job of removal difficult and messy. our new old house is covered in vinyl and the trim wrapped in aluminum. Horrible…but the problem is that there was no undersheathing….so it is 2×4’s and clapboards. The house has been spray foamed…any thoughts on removing this vinyl…if the siding is in bad shape, what would the options be? Nancy, it’s almost always easier to repair the wood siding or clapboards underneath than to replace them. 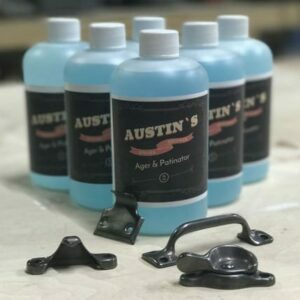 Removing vinyl would be almost the same process as aluminum. Our house is brick on the bottom half and had aluminum siding on the top half. We took the aluminum off last summer and found stained cedar shingles underneath that were 70% in good condition. No damage to trim. We’re encouraging everyone to take off their siding. Our house looks so much better now . You can find photos and an article about our experience on the Renovate Des Moines website. Drop cloths to catch lead paint ships and be on the lookout for wasps and bees that may have gotten underneath and built nests. And it is not uncommon to find yet another layer of “not original” siding underneath like Inselbrick (fake brick) or Transite (cement asbestos) Here in Kalamazoo we have unveiled 7 houses – only one had damage to the wood under the siding – where there was evidence of a longstanding roof problem. Usually the wood is in remarkably good shape. Great post. Is there a post on removing vinyl siding? Our 100-year old house was covered in the stuff in the 80’s, with aluminum over all the trim. ? Regina, it’s almost the same process for vinyl. Vinyl is actually little easier to peel off than the aluminum.